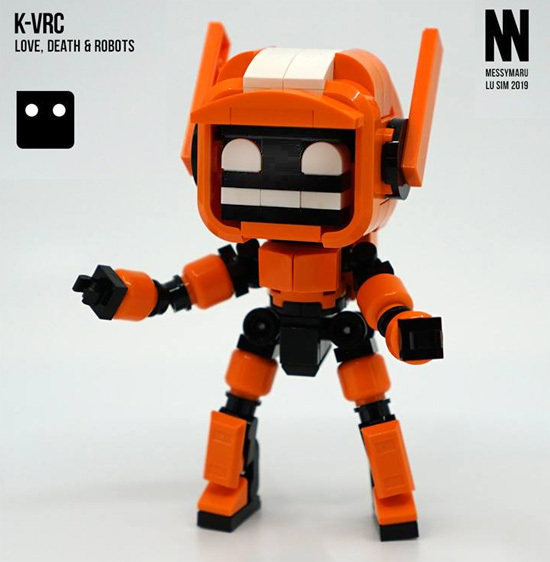 Love, Death and Robots recently has been popular and someone over at MessyWorks created K-VRC using LEGO! 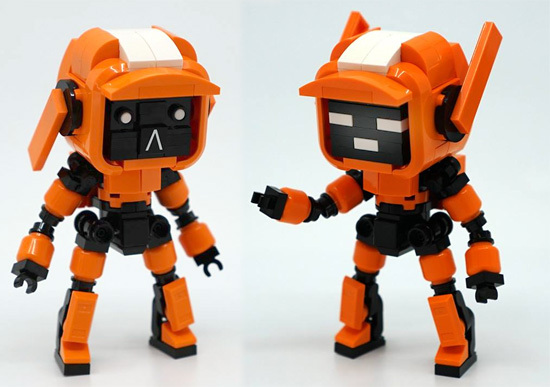 Here is how it look like front and back with articulation and balance. 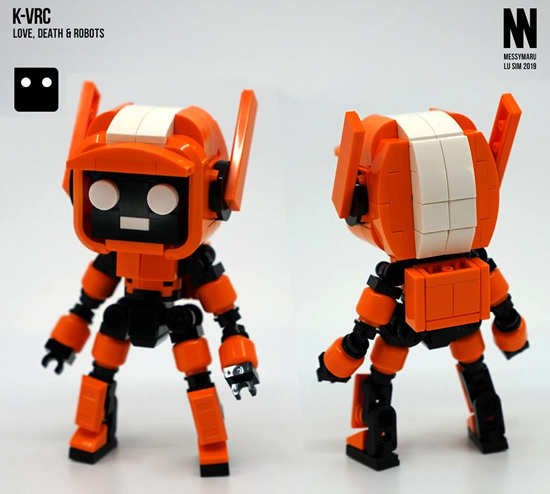 Here is one of the cheeky face.